Move over, Han Solo. Shuffle up, Bear Grylls. Our next Audacious Woman was quite literally described as Danger’s Girlfriend. She also had much in common with our own Muriel Thompson, including a need for speed and a passion for ambulances. In 1875, the suffrage movement in France was some 70 years away from achieving voting rights. Women couldn’t vote, study or even open their own bank account. Maria Marvingt was born into a world where being “audacious” was not exactly a prized quality for women. Neither was being an incredibly accomplished sportswoman, but thanks to some encouragement from her parents, Maria was reportedly capable of swimming 4000m at the age of 5. By 15, she had canoed 400km across Europe and by 24, she had obtained her driving license at a time when very few people even owned a car. She even made the leather/fur combination look great. Why master one, when you can win awards in all of them? She also climbed most of the mountains in the Alps and swam the length of the Seine. Oh, and when the Tour de France refused to let her enter (because of that being-a-woman-thing), she cycled the full length of the course anyway, beating two thirds of the field without any support. Utterly dazzled and somewhat cowed by this, the French Academy of Sport awarded her the only ever “Gold Medal For All Sports”. This might have been to try and make her stop so that someone else could win something for the first time in a decade, but it’s still pretty cool. This wasn’t quite enough for Maria, however. Perhaps bored with winning everything she ever entered, she took up flying and became a qualified pilot of hot air balloons and monoplanes. As well as setting various records and winning numerous awards (I won’t list them here as I am not paid by the word), she used her aviation expertise to come up with an idea which was to change the face of medicine in warzones: Air Ambulances. This idea was a slow burner, mainly because planes were incredibly unreliable during the early 20th century. Due to financial issues, the plan had to be shelved during World War One, and Maria had to find other ways to occupy her time. 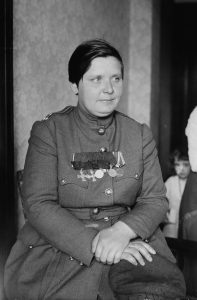 This involved disguising herself as a man, sneaking into a French army unit and fighting at the front until she was discovered, being dismissed and transferring to the Italians (who were desperate for soldiers and less sexist), flying bombing raids and winning a Croix de Guerre for destroying German factories. It’s a good idea to stay active in your 40s, after all. 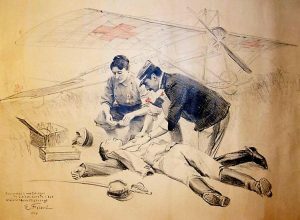 An illustration of Maria working with the air ambulances. She was frustrated with how slow battlefield medical procedures were, so naturally she came up with her own. 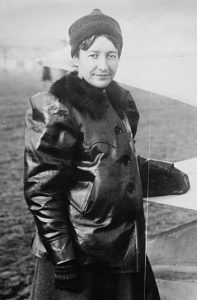 After the war, Maria worked as a journalist and lecturer, and redoubled her efforts to promote the idea of aeromedical evacuation (essentially, airborne medical support). She pushed engineers to create planes suitable for medical purposes, founded the Flying Ambulance Corps to train doctors, nurses and pilots for warzones and invented a new type of surgical implement in her downtime. By World War Two, the Allies were equipped with a fully functional Air Ambulance service, and Maria continued to serve as a surgical nurse through the war and in Morocco afterwards. Retirement was apparently not on the cards, and in her 80s, Maria learned to fly helicopters, cycled 200 miles across France and broke the sound barrier in a jet plane. She died in 1963, aged 88. Happily, she lived long enough for women to get the right to vote, and to see her country freed from invasion. I would like to imagine she probably would have been the first woman in space, if she’d held on for a few more years. One last thing – somewhere along the line, Maria had also published poetry and fiction under the pseudonym Myriel. Unsurprisingly, it won awards. One last note for anyone who is still reading on – if you need a daily fix of amazing women, I can happily recommend Rejected Princesses for all of the stories of women who didn’t quite make it into the Disney Princess lineup. For *ahem* reasons. Now for something slightly more surreal. 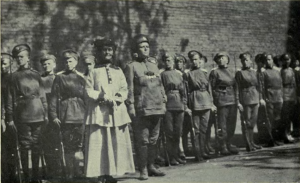 While the British and other Allied forces were doing their level best to keep women out of the armed forces (we salute you, Flora Sandes, for getting round this rule and looking pretty fabulous while doing it), the Russians had taken a slightly different approach. 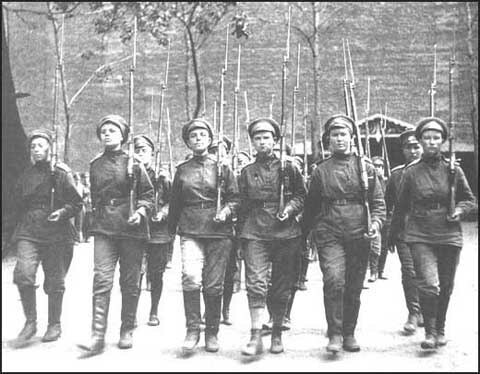 With their forces heavily damaged and morale low, the Russian army had already permitted women to join the regular units. This wasn’t quite enough for Maria Bochkareva, however, who wanted to take matters a little further. Maria was born to a peasant family in 1889, and had a difficult childhood as a result of abuse from her father. Fleeing home at 15, she married Afanasy Bochkarev, moved to Siberia and began to work as a labourer. Strong willed and determined, Maria quickly became a supervisor. Unfortunately, Bochkarev was also abusive and Maria left him to take a variety of jobs on steamships and even brothels. She soon met her second husband, Yakov Buk, and put her management skills to work opening a butcher’s shop. Maria might have been an excellent man-manager but she was sadly not so skilled in choosing husbands. Buk was also abusive, and was also arrested for stealing twice. The outbreak of World War One gave Maria a new chance to escape and make her own way, and this she did in style. Maria has no time for your sexual harassment. She’s got men to rescue and trenches to capture. And lots and lots of medals to win. Turned away by the army on her first few attempts, she contacted Tsar Nicholas II for personal permission to join the army. He granted it (perhaps he heard how good she was at running butcher’s shops) and she joined the 5th Corps, 28th Regiment of the Second Army. This was where Maria really shone – she won numerous awards and saved over 50 injured men during a single battle in No Man’s Land, while facing down ridicule and sexual harassment from the men in her unit. The entire army was thrown into turmoil by the Russian Revolution of 1917 and the abdication of the Tsar. Maria, however, had other ideas. She campaigned for, and was granted, an all-female regiment of women to command. It was extraordinarily popular – around 2000 women volunteered, but only 300 survived Maria’s strict training. Once ready, the “1st Russian Women’s Battalion of Death” (the Russians took the naming process very seriously) were sent to the frontline. Their performance was extraordinary – in one mission alone, they took three trenches and 200 prisoners. They were deprived of a future as a regiment, however, by the hostility of male units in the army. 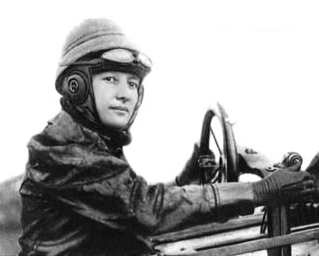 Despite her extraordinary record, Maria was captured and nearly killed by Bolshevik forces due to her connections to White Army captains. She managed to escape to America, where things take a rather bizarre turn. 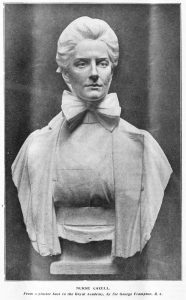 Maria was feted as a war hero and secured meetings with Woodrow Wilson and King George V. She even begged Wilson to intervene in Russia, reportedly moving him to tears. 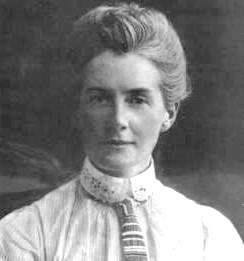 Somehow, she also found time to write her memoirs – still in print today – and met Emmeline Pankhurst. Pankhurst described Maria as “the woman of the century”. One of the bravest and most inspiring women in history meets Emmeline Pankhurst. We’d like to finish the story there, but events took a rather sadder turn. Returning to Russia, Maria tried to organise another regiment to fight for the White Army, but was captured by the Bolsheviks. Against the orders of Lenin himself, she was executed by firing squad in May 1920.